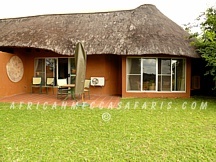 Mala Mala Game Reserve is the safari industry's blueprint to the luxury photographic safari. In existence since 1927, this massive thriving tract of land produces the most exciting wildlife experience this side of the equator. 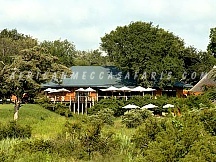 Mala Mala Game Reserve is the largest private Big Five game reserve in South Africa . Comprising 13300 hectares, Mala Mala shares a 19 km (12 mile) unfenced border with the world-renowned Kruger National Park and lies sandwiched between the national park and the Sabi Sand Reserve. 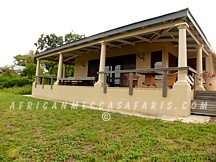 Below is a listing of Mala Mala Kruger accommodations in South Africa. To view complete details on the accommodation, click on "Read More+" under each camp or lodge photo. Rattrays on Mala Mala bears the style of crystal and leather, with beautiful furnishings that are a treat to the connoisseur of the finer things in life, captured over generations on a land that remains as old as time. Each suite or khaya (Zulu for "home") functions as an inclusive home, resplendent with hand-selected furnishings, lavish his-and-hers bathrooms, a secluded outdoor shower and a private heated plunge pool.